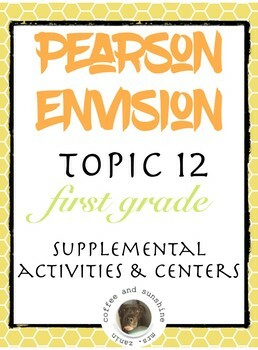 This is a Pearson Realize Envision packet with supplemental activities and math centers for Topic 12 first grade. 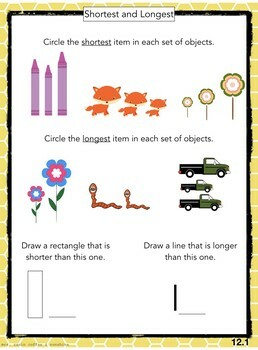 36 pages of resources on length and measurement! This is something that I use in my 1st-grade classroom as center materials and independent work. 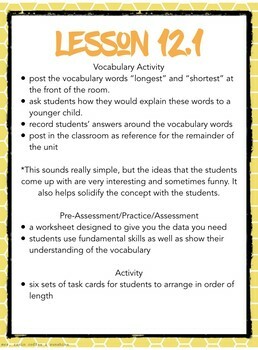 These can be done after each lesson or repeated throughout the Topic (which is how I use it). There are 6 differentiated worksheets and 4 center games. 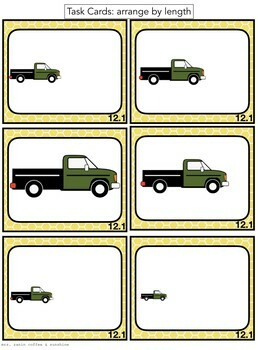 This product is segmented into activities for after suggested topic lessons. To make it easy for you, the activities are labeled by lesson on the bottom right corner of each page. There is a guide before each set of lesson materials for further details and implementation ideas. If you purchase this resource, please consider rating it (you get TPT credit) and follow my store for notices when additional topic materials come out.